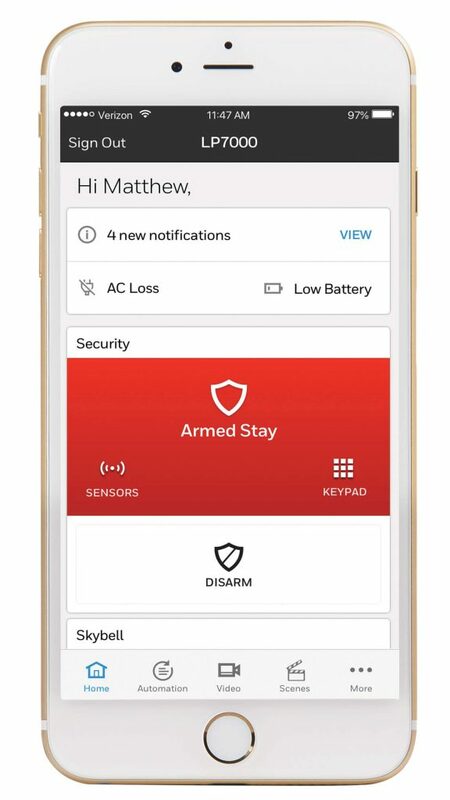 Total Connect - Absolute Security Inc.
Easy, app-based security system control. IOS and Andriod Apps for on the go control! Remotely control your home systems anywhere, any time to give you a “live” experience on the go. Seamless control through with real-time push notifications, emails, SMS/text messaging and video alerts. Honeywell Total Connect always keeps your customers informed with real-time push notifications, emails, SMS/text messaging and video alerts. You can even view past events and search for specific occurrences. A cloud-based central station video interface that allows monitoring personnel to view video clips and see what caused an alarm. Seamless control through the Honeywell Total Connect 2.0 iOS mobile application, Android app, and website. Thermostats, Lights, Smart Locks, & More!